When it comes to discovering the difference between the 3G and the 3GS, we’re talking about the iPhone. There are a few differences between the two smartphones and it’s important to know what they are. These are older models from the iPhone 4 or 4S, but many people are still interested in these phones, especially since the prices have dropped considerably since they first came out. Let’s first begin by the similarities. The dimensions for both the 3G and the 3GS are 115.5mm x 62.1mm x 12.3 mm. The colors that the iPhone comes in are black and white and they are both touch screens. They feature the same resolution of 320×480 pixels and they use 16M colors. This means that at first glance, in terms of size and weight, they are absolutely the same. It isn’t until you begin to actually use the phones that you see anything different. This is why they can be confusing because, visually, it looks like there are no differences. They both have the earpiece and loudspeaker and have a YouTube player. The technology is the same as well, in terms of the GSM and the data. There are some slight differences within the connectivity, however. The 3Gs features 2.1 Bluetooth over the 2.0 of the #G and there is USB 2.0 in the 3GS while the 3G has the standard USB. The 3G came out in July 2008 and the 3GS came out in June 2009, almost an entire year later. As such, the issues that people complained about in the 3G were fixed in the 3GS, which allowed more people to be happy with their iPhones. There have been considerable upgrades within the years’ time and this has made the 3GS more popular. It is also more like the future iPhones that were released after 2009, which includes the modern iPhone 6. There is an improved processor in the 3GS. The 3G only has 412 MHz while the S has a 600 MHz. There is also double the RAM in the 3GS, up to 256 MB from the 128 MB in the older version. They both have internal storage of 8 GB with no expandable storage option available. The improved processor speed and RAM have had a lot of people talking and they prefer the 3GS in this regard. People have left reviews about the ability to multi-task easier. With the internal storage being the same, it has no impact on the number of apps that can be installed from one phone over another. The iPhone 3GS also has the PowerVR SGX 535 graphics processor. This allows for better quality playback for movies as well as games. Many people who use their iPhones for apps and video playback are able to take advantage of the GPU and enjoy the 3GS over the 3G for this very reason. This also makes the first iPhone that introduced a graphics processor into the phone. Prior to this, a GPU was only inside of computers. This is what began to attract people to the iPhone with more interest. They could get a similar experience out of a smartphone as they could from their computer, and it was more portable. There are also some differences between the cameras. For people who are photography oriented, this is of the utmost importance. 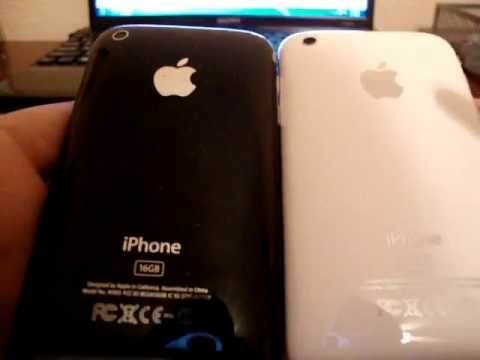 The rear camera of the iPhone 3G has a 2 megapixel capability while the rear camera of the 3GS has been given an upgrade to a 3.15 megapixel camera. There is no flash in either of the cameras, but the 3GS has a camcorder function that the 3G does not. It has a640x480 VGA camcorder that is capable of 30 frames per second. Another thing that the iPhone 3GS has for the camera that the 3G does not are some unique features. While both are capable of geo tagging, the camera on the 3GS also has auto focus as well as touch focus. This allows users to be able to take better quality photos and choose what they are going to focus in on, allowing for some trick photography. There is no Java support in either and the browser operates in HTML for both of them. They can connect with Wi-Fi and GPS and they both feature Bluetooth as well. The battery is a difference between the two iPhones as well. The average talk time on each vary by a considerable two hours. The 3G can produce approximately 10 hours of talk time while the 3GS ca provide 12 hours of talk time. If it is used for music playback, then the difference is 24 hours versus 30 hours. The battery is not replaceable in either model. There are also several sensors built into both of the iPhone models. This includes a compass, proximity sensor, gyroscope, ambient light sensor, and accelerometer. However the iPhone 3Gs has a barometer that the 3G does not. It’s also a good thing to note that the 3GS also has voice dialing and voice commands that the 3G does not. Overall, both of the iPhones by Apple have features that are the same. However, when it comes down to the differences, there are enough that makes the 3GS version more enticing. It has the better processor, more RAM, a graphics processor, a better camera, the presence of a camcorder, and a longer battery time. This allows people to do more with their smartphone and it is more comparable to the various Windows and Android phones that are on the market.